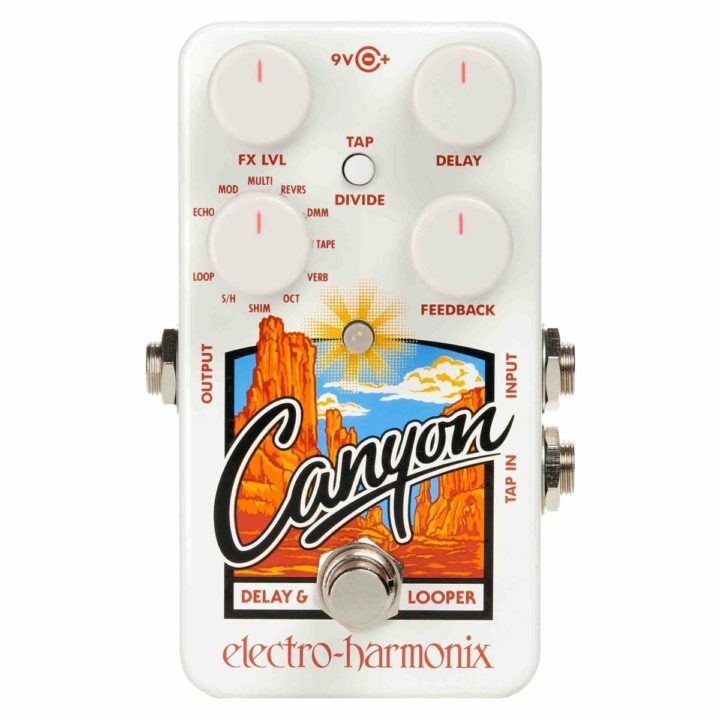 The Canyon features 10 different delay effects to choose from, and a powerful looper with a 62 seconds’ max loop, letting you create a range of amazing sounds to enhance your playing. A simple, yet powerful range of controls lets you adjust the effect’s delay time, number of repeats, and wet to dry ratio. The feedback control can also be used to adjust the level of the existing loop when overdrubbing in looper mode. A special internal switch lets you adjust whether the pedal still produces repeats when switched to bypass or if it suddenly stops. A tap tempo input is also added to the pedal, letting you connect tap tempo footswitch, and also includes a tap divide. Delay range: 5ms – 3 Sec.